Monzi Backpackers situated within the heart of St Lucia. Monzi Backpackers is a relatively new backpackers set in the heart of St Lucia. One can definitely enjoy the likes of walking to all shops and restaurants from the backpackers. This backpackers is by no means old school, gone are the days of slumming it. 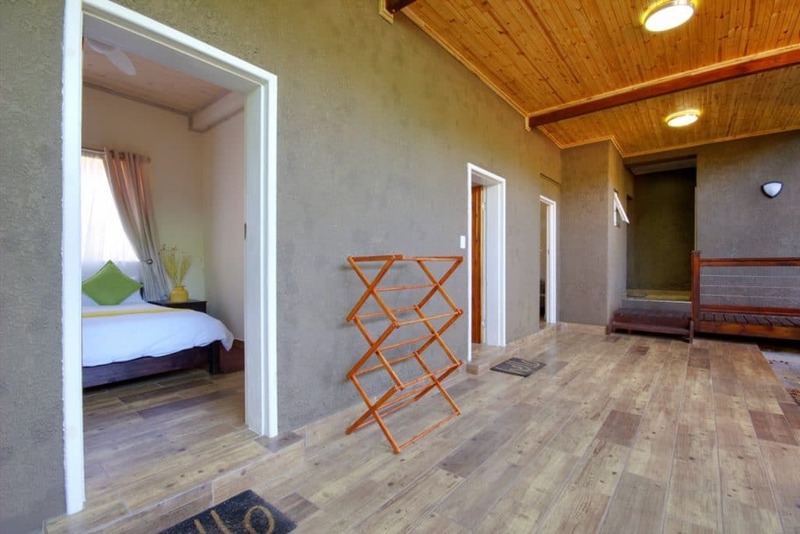 Monzi Backpackers offers some really nice accommodation options. Clean ablutions and an incredible cooking area. Not to mention the outdoor area where one can sit back and enjoy the large pool and lounges. St Lucia just so happens to be South Africa's very first world heritage site. This obviously makes for some tremendous outings and attractions in and around St Lucia. Monzi Backpackers is situated in the main street of St Lucia ( McKenzie Str) this adds to the fact that one can easily enjoy the ability to walk to all restaurants, pubs and shops. Keep an eye out for those Hippos that walk through town at night though. The accommodation at Monzi Backpackers is truly neat and clean. The property is well kept and we assure you that you will find the staff extremely friendly and helpful. Nestled in between the trees enjoy some amazing birdlife and the local vervet monkeys. The ideal spot to relax and recoup after a days Tours & Safaris. One may rent either in the Male or Female Dorms. All rooms are adequate in size and super clean. Staff are incredibly helpful so be sure to get their local advice. All of the dome tents are rented out as single or double. No need to drag anything along we include it all. Super comfortable mattresses guaranteed. Safe and secure parking provided.